As collector-quality vintage Rolex models become increasingly hard to come by, some are not as particular about pure authenticity. These collectors just want the look of an astronomical vintage piece. This fuels the burgeoning market for recreations. Tempus Machina has pieces made to look like extremely coveted references from Rolex’s back catalog, fashioned out of brand new pieces. These aren’t fakes, more like reproductions using genuine Rolex parts. The latest example comes from Tempus Machina, which pays homage to the most desirable vintage Rolex models ever made. Examples include the legendary James Bond Submariner and Steve McQueen Explorer. Their newest creation is the 711Z, a tribute to the Ref. 6542, a true classic from the GMT-Master collection. 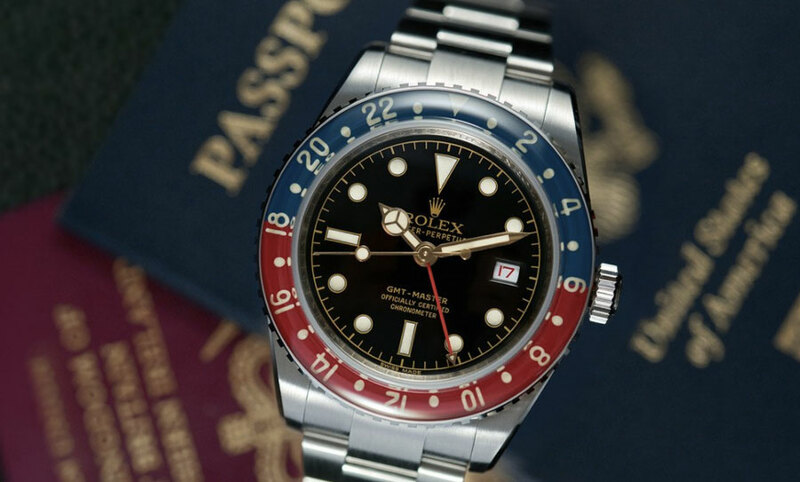 This is the original and most sought after Rolex GMT-Master. Why the GMT-Master Ref. 6542? Its signature features are a Bakelite bezel, long, slim hand GMT hand, and the lack of crown guards. A “respectful fusion of the current model 116710 GMT-Master II with the iconic design of the original Bakelite 6542,” the 711Z is aesthetically pleasing if not exactly a bargain at $35,000. The gilt dial – actually 18k gold-plated dial – is “fabricated using old-world techniques” according to the brand. This results in true negative-relief gilt echoing that of early Rolex sport models. Their modern interpretation of the bakelite bezel is a polished insert sculpted from clear, scratch-resistant sapphire featuring hand-applied luminescent numerals and indicators and a “re-profiled” coin edge. 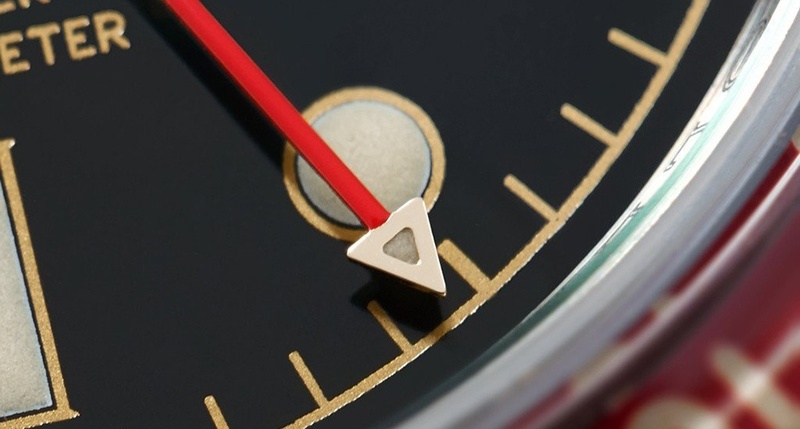 A lower profile Rolex crown/tube has been fitted, and a custom “small arrow” GMT hand provides another retro touch. Lastly, the crown guards have been removed. 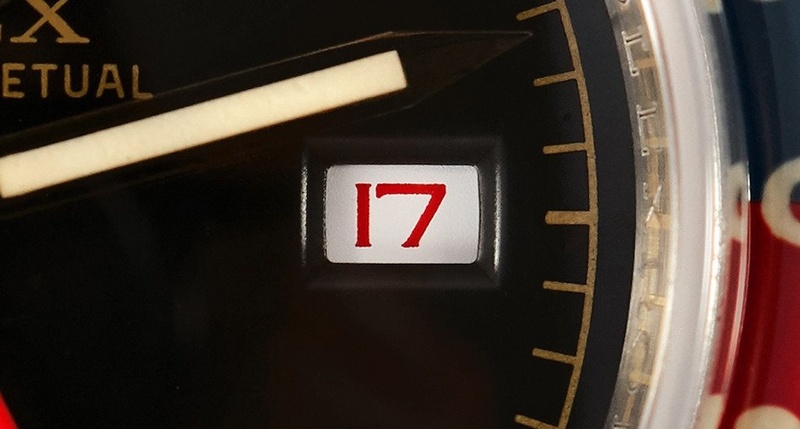 Will the Tempus Machina 711Z Hold Value Over Time? The limited edition watch will no doubt appeal to those who want the looks of a vintage watch without the maintenance issues or other pitfalls that come with wearing an older and more delicate piece. As with all customized Rolexes, the buyer needs to carefully consider if the watch will hold its value, increase or even decrease over time. While Tempus Machina may be able to recreate these magnificent timepieces we still need to consider the cost. A true vintage is a safer bet, though you have to be very careful about making sure all the parts are original. Which is why you should buy from a reliable retailer like Bob’s Watches that offers a guarantee on every piece sold. 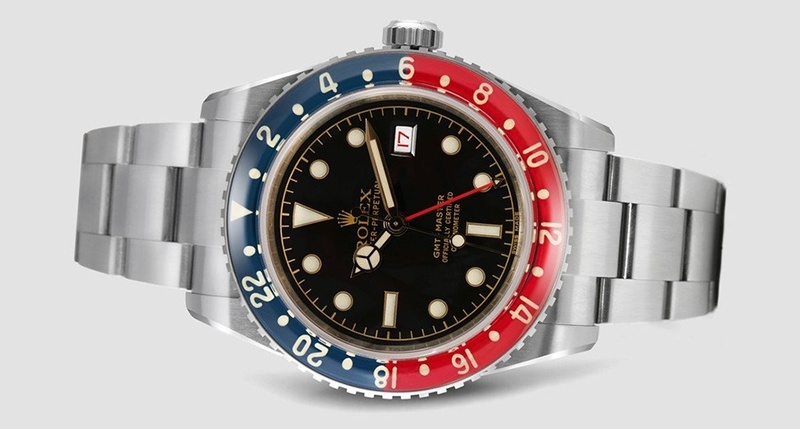 Check out Bob’s Watches’ selection of vintage Rolex watches. There are over 50 pieces available at any given time, ranging from Rootbeer GMT’s to the ultimate holy grail, a Paul Newman Daytona. The time to start that collection is now.